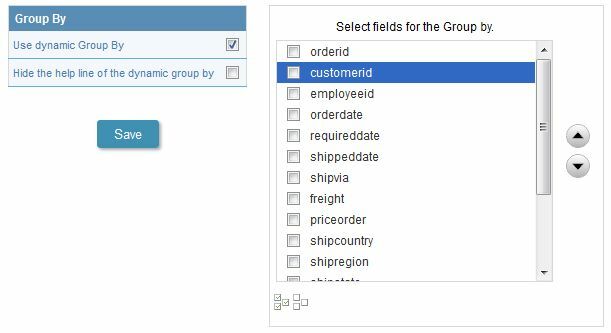 To configure the Dynamic Group By we must select which fields are available in the application, so this way the end user can select and then apply the Group By dynamically at runtime. 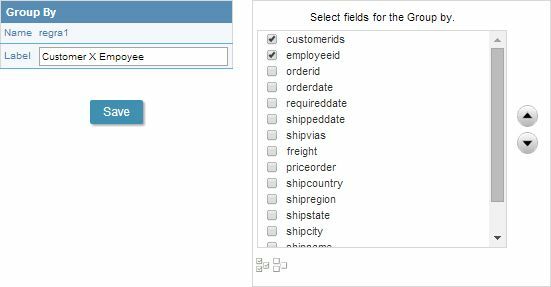 The End User may select more than one field when you apply the Group By in the generated application. Image 1: Interface of Group By rules. 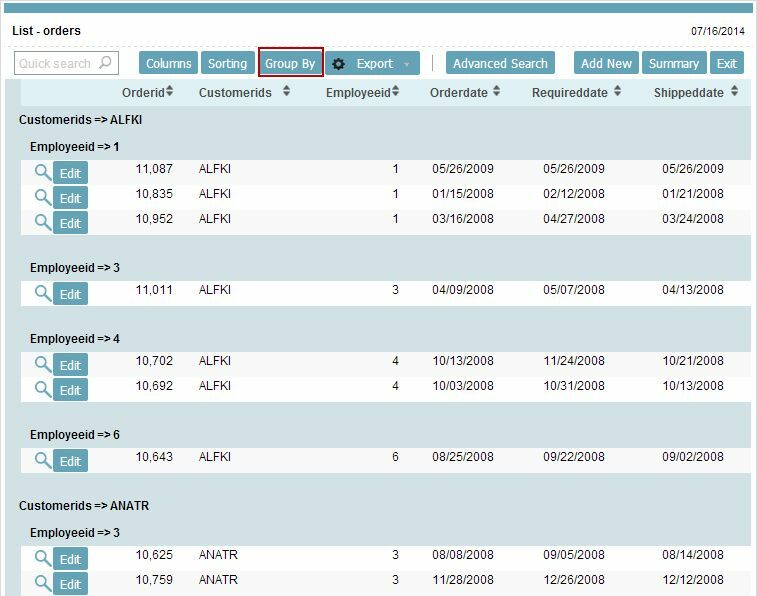 Use dynamic Group By - Option to enable the use of dynamic Group By. Hide the help line of the dynamic group by - Option used to hide the title of the dynamic group by in the generated application. 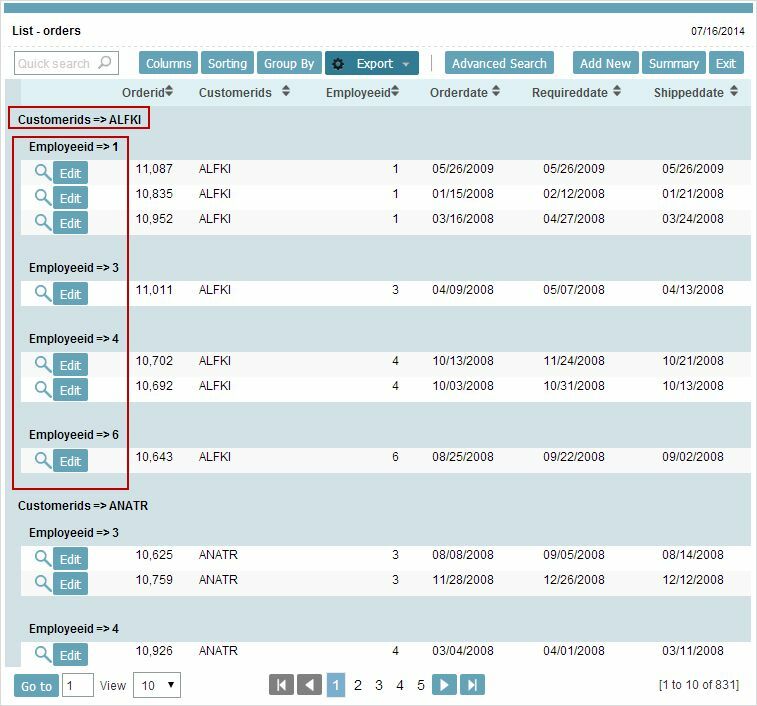 Fields - There you can check/uncheck one or more fields to create the Group By and define the level of each Group By field. Image 2: Group By Rule settings. Image 3: Button to select a Group By Rule in a generated application. Image 4: Selecting the Group By Rule. Image 5: Results of a Group By Rule selected.